The Opposuits are the most beautiful costumes ever designed. They are exactly the opposite of conventional costumes wich you wear to the Office, those boring colors in black, gray or blue. The Opposuits unusual designs and drawings are creating beautiful style costumes . The fabric is of high quality and comparable to those "boring" suits, can be used more than once and you don't have to take them to the dry cleaner. They have lots of details such as real pockets, buttons and belt loops. They are delivered in a box ideal for storage or to give away. There are 9 different sizes and all costumes have extra fabric in the event for any adjustments who is necessary. 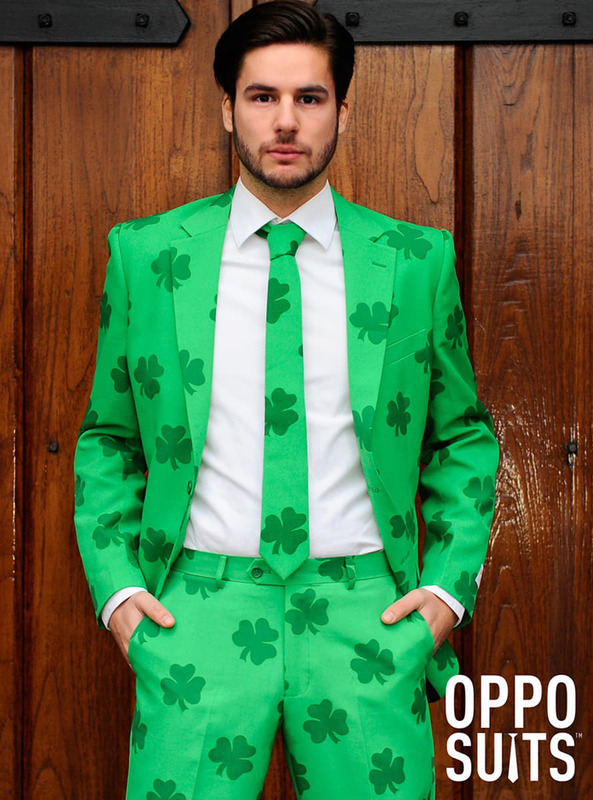 And best of Opposuits costumes is that they can be washed in the washing machine, so you don't have to spend extra money to clean them. Many say that there are more Irish people outside of Ireland than in Ireland itself which would explain why St. Patrick’s Day is such a big global celebration. Not only the Irish love it; millions of people worldwide dress up in green and embrace the Irish spirit to join the fun during St. Patrick’s Day. 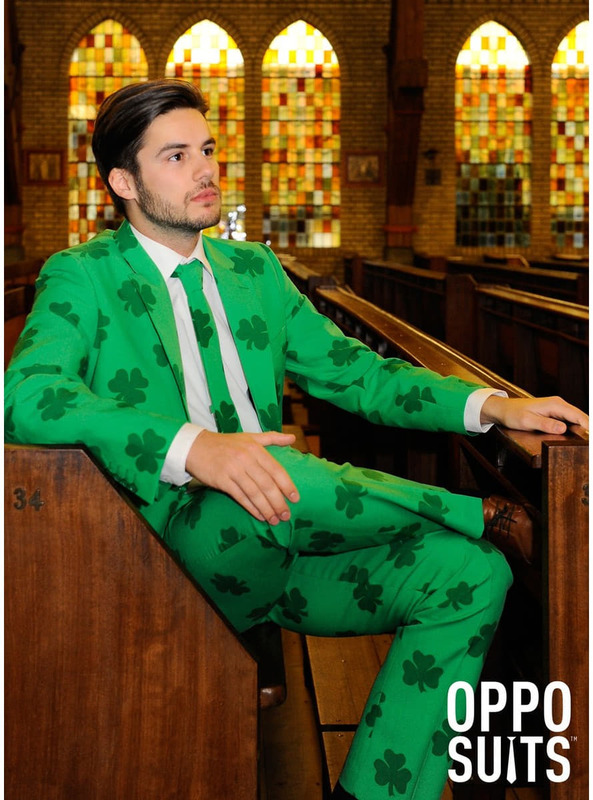 It goes without saying that OppoSuits wants to dedicate a suit within their range to this fancy dress event! 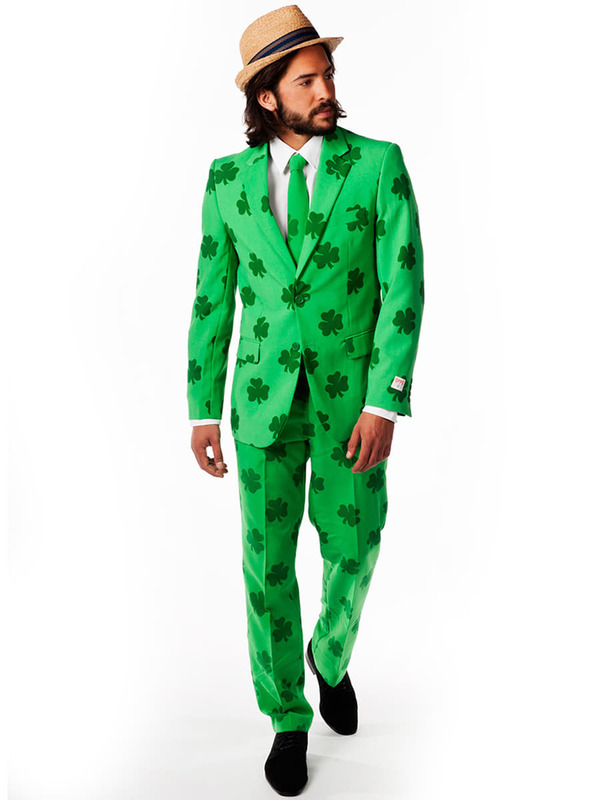 From now on, everyone can celebrate S(ui)t. Patrick’s Day in style! 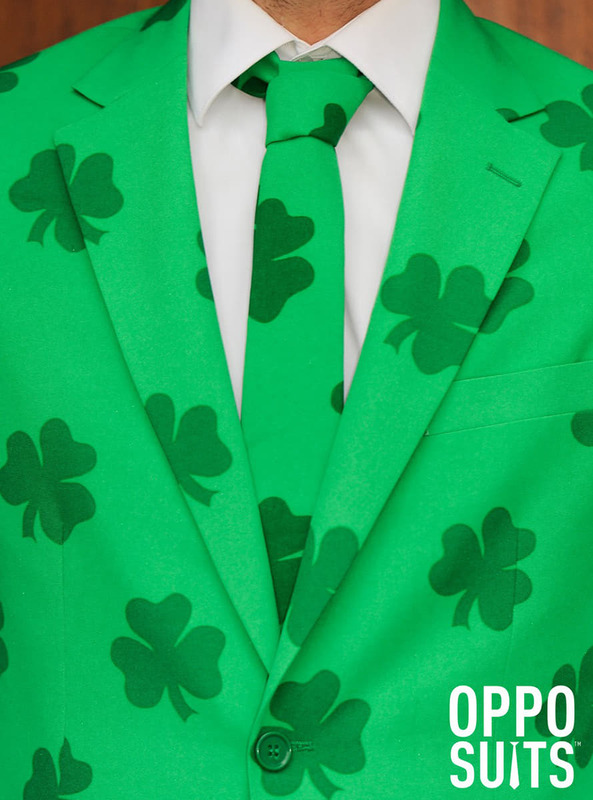 PATRICK is a high-quality, green suit covered with even greener Shamrocks and as usual, it is offered including the tie. Upload your photos to Instagram with the hashtag #funidelia followed by #funidelia05671. 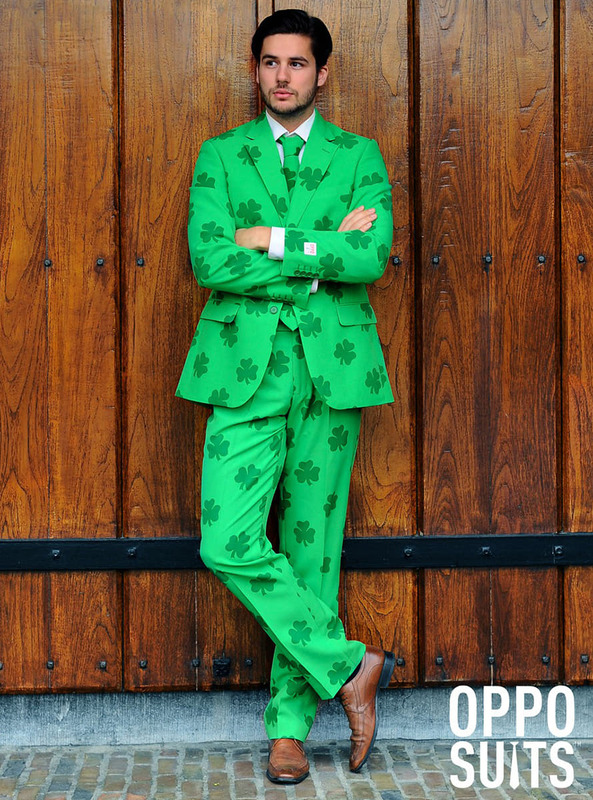 Product Rating: "St. Patrick's Day Opposuit"